The last glaciation, or Ice Age, ended around 11,700 years ago. In west Asia, a large area that includes the eastern Mediterranean, Syria, Jordan and Israel, the period just before this was known as the Epipaleolithic (20,000 – 10,000 years ago) . By the end of this era, modern human groups had mostly abandoned a nomadic lifestyle, and begun to live in sedentary communities for the first time. During the early Epipaleolithic, Levantine inhabitants generally lived in caves or in the open air – these were small, seasonal camps, which were not occupied long-term [2, 3]. Towards the end of the period, human sites begin to show signs of being re-used regularly . By around 12,000 years ago, it is thought that humans were living in mostly sedentary communities . This occurred over 3,000 years before the introduction of agriculture, and groups still relied on hunting and gathering to survive. The Epipaleolithic era is characterised by the use of tools known as microliths – tiny flint blades, no more than a few centimetres long, which were attached to wooden handles [1, 5, 6]. Technology also advanced through the use of fishing nets, pestles and mortars [7, 8]. These mortars were used to grind cereals, bones (in order to extract fat), and ochre (for decorative purposes). The Natufian culture, which emerged around 15,000 years ago, was one that flourished towards the end of the Epipaleolithic period . The Natufian people were thought to have lived in some of the first long-term settlements, long before the introduction of agriculture. Unlike earlier cultures, the Natufian people were among the first to construct buildings out of stone. Dwellings were likely semi-subterranean, with brushwood rooves and central fireplaces . The Natufian people were hunter-gatherers, and their diet would have consisted of wild cereals, pulses, nuts, and fruit, along with fish, gazelle, deer and cattle . However, they were also some of the first people to purposefully cultivate plants such as rye, possibly due to a decline in wild plantfoods, caused by cold climatic periods . Natufian technology included sickle blades, essential for harvesting cereals, as well as ‘boulder mortars’ – huge boulders with basins carved into them, likely used to grind grain [10, 13, 14]. It is generally thought that these activities kickstarted the ‘agricultural revolution’ in this region. Unlike their predecessors, the Natufian people used cemeteries intensively, and over 450 graves have been found so far [15, 16]. Natufian burial practices show great diversity, but many graves appear to have been dug outside homes or in deserted buildings, and occasionally marked with limestone slabs. Group burials were common in early Natufian culture, and in later years, there is some evidence of skull removal . In a couple of sites, humans were even buried alongside dogs [18, 19]. It was common for the Natufians to bury their dead with personal belongings, typically jewellery, headdresses and belts made from shells, bone, teeth and beads . More exciting grave goods include a stash of 50 complete tortoise shells, the remains of a leopard, and a limestone model of a human head [20, 21]. One important Natufian site is Raqefet Cave, situated in a valley close to Mount Carmel in northern Israel, near to the modern-day city of Haifa. This 50-metre-long cave was first excavated in 1970, and later excavations have revealed it was primarily a cemetery, used by many generations over hundreds of years . In 2017, radiocarbon dating techniques dated the cave to between 13,000 and 14,000 years old . The cave at Raqefet was home to 29 adults, children and infants, whose graves were found within an area of 15 metres squared . Four such burials showed evidence of a unique lining of plant material, specifically sage flowers, suggesting the Natufians lined graves with a thick cover of fresh, aromatic flowers . Faunal remains surrounding some of the graves were possibly the remnants of funerary feasts: the consumption of gazelle, deer, wild boar and even tortoises at the time of the burial . In 2016, the DNA of five males and one female from Raqefet Cave was sequenced . 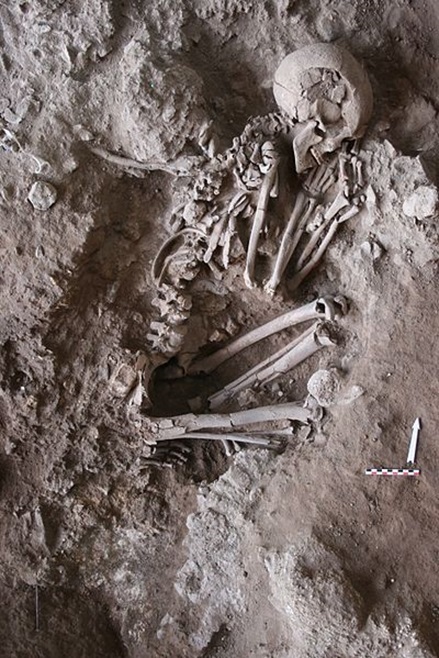 All six individuals had been found in single or double burials, either on their back or side in a flexed position. One person was an adult over the age of 30, two were younger than 30, and the other three were children under the age of twelve. Like all Natufians, the inhabitants of Raqefet derived half of their ancestry from ‘Basal Eurasians’. The Basal Eurasians are a lineage thought to have split off prior to the differentiation of all other European lineages, and prior to the interbreeding between Neanderthals and modern humans that occurred around 50,000 – 65,000 years ago . 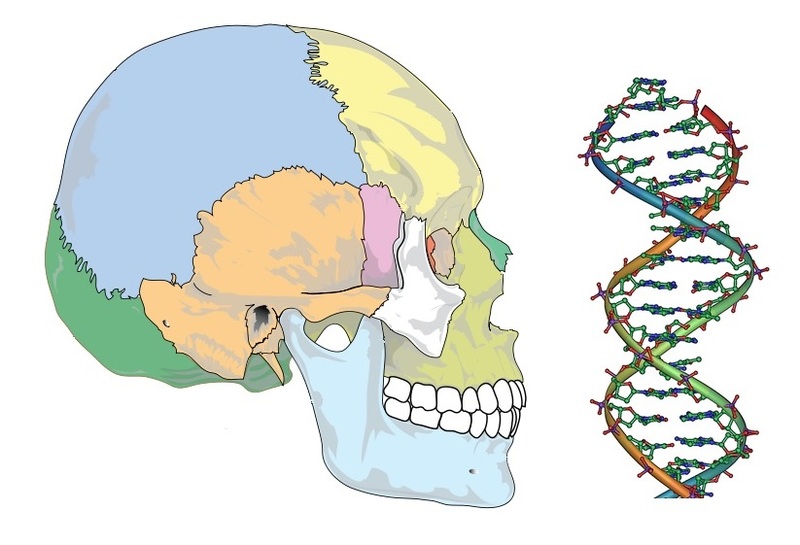 Three of the individuals had Y-chromosomes belonging to haplogroup E1b1, which likely originated in East Africa, although there is no genetic evidence for admixture between Natufians and sub-Saharan Africans . Genetic analysis suggests that the Natufians were the ancestors of the first farmers – haplogroup E1b1 is found in early Neolithic farmers from Jordan. Natufian genomes also show similarity to modern-day populations in Saudi Arabia, as well as the Bedouin nomadic peoples of the Arabian Peninsula. Nadel, D., Danin, A,, Werker, E. et al. 1994. 19,000-year-old twisted fibers from Ohalo II. Current Anthropology 35: 451–458. Barzilai, O., Rebollo, N., Nadel, D. et al. 2017. Radiocarbon dating of human burials from Raqefet Cave and contemporaneous Natufian traditions at Mount Carmel. Antiquity 91(359): 1137-1154. Belfer-Cohen, A., Schepartz, A. and Arensburg, B. 1991. New biological data for the Natufian populations in Israel. In Bar-Yosef, O. and Valla, F.R. (eds), The Natufian Culture in the Levant. Ann Arbor: International Monographs in Prehistory, 411–424. Yeshurun, R., Bar-Oz, G. and Nadel, D. 2013. 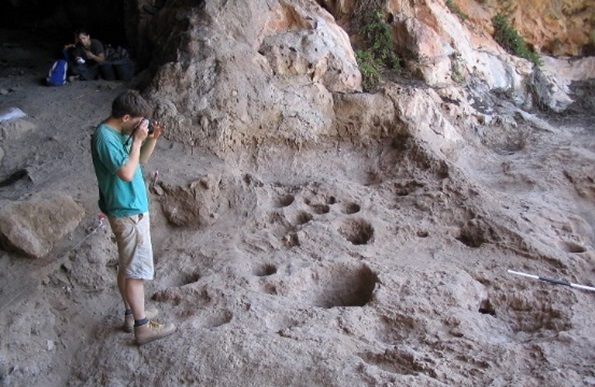 The social role of food in the Natufian cemetery of Raqefet Cave, Mount Carmel, Israel. Journal of Anthropological Archaeology 32: 511–26.